Zambelli Impeller Pumps – Now In Stock! CRC Food Grade Lubricants – Now available at SWAT! 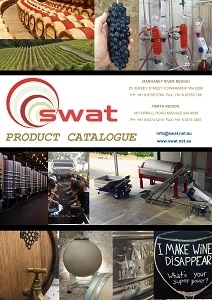 Why choose SWAT for your winery and vineyard supplies? SWAT offer personalised friendly service to the wine industry as we endeavour to educate our customers and answer their questions about our products and services. We meet the changing needs of customers by supplying new and innovative products and import directly from some of the best makers of wine equipment in the world.